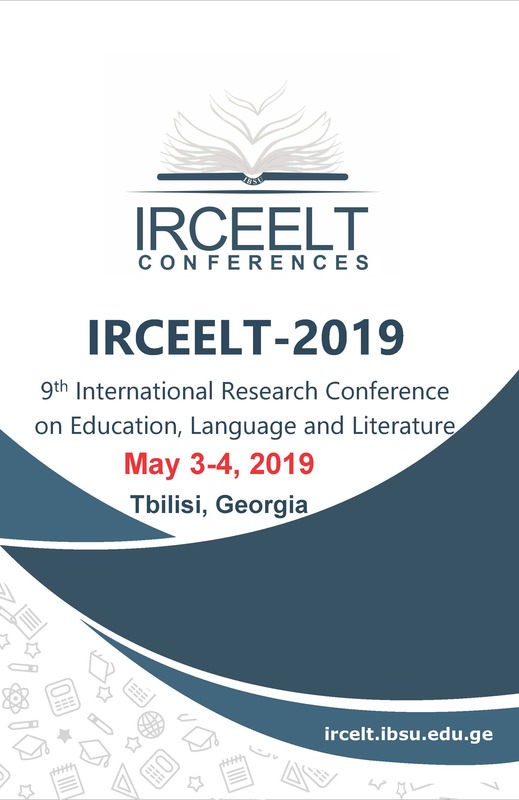 We would like to kindly inform you that the 9th International Research Conference on Education, Language, and Literature (IRCEELT 2019) will be held on May 3-4, 2019 in Tbilisi, Georgia. The scope of the conference embraces interesting disciplines topics dealing with education. The aim of the conference is to bring together researchers, practitioners, and policy-makers to discuss issues, tackle real challenges, develop professionally, share opinions, find solutions and explore opportunities in the areas of education. The conference serves the purpose of promoting a tight link between theory and practice and explores different perspectives on the application of research findings into practice. The working language for the conference is English.